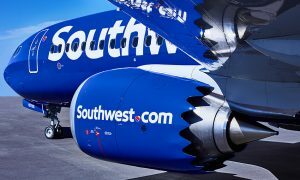 Southwest Airlines introduced a modern new look to its iconic brand today at an event dedicated to its employees. The airline proudly unveiled a new aircraft livery, named Heart, airport experience, and logo. 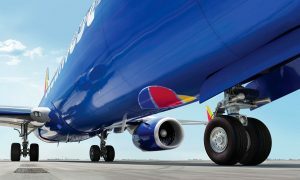 The new look puts the airline’s Heart on display, showcasing the strength of the nearly 46,000 employees companywide–whose dedication can be felt by every customer each time Southwest Airlines connects them to what’s important in their life. 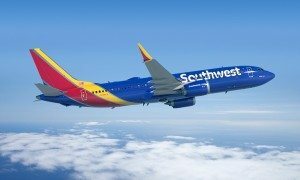 It’s a big year for Southwest, as the airline introduces its legendary brand to international destinations; the repeal of the Wright Amendment is within sight; and the integration of AirTran Airways operations is on track to be completed later this year. Southwest continues to evolve, serving more than 90 destinations, and expanding its footprint in big markets like New York City and Washington, D.C.
“With all these exciting changes happening, we thought it was time for a new visual expression of our brand–one that marries our past to our present and sets the course for where we’re headed in the future,” Kelly said. Southwest Airlines and its partners did comprehensive research and held numerous focus groups with Employees and Customers to determine how best to create the new look. The airline heard that it was important to remain unique and to retain its personality; for these reasons, Southwest continues to use the vibrant color palate and striped tail that has long identified the carrier, while adding a modern touch, proudly displaying the Southwest name on the side of the fuselage and presenting the Heart on the aircraft belly. Southwest has had several different liveries and logos throughout its 43-year history; remaining current and relevant is critical to the sustainability and future growth of the brand.